Traditionally when we think of anything to do with “freezing” our assets (like our bank accounts), we ourselves tend to freeze. However, despite its potentially misleading name, estate freezes are actually an effective way of transferring assets, like your farm and its equipment, to your children, and ensuring your spouse and loved ones are not burdened by unforeseen taxation of your estate. In Canada, when an individual passes away they are treated as if they have “sold” of all of their assets. At law, these pretend sales are called deemed dispositions. This includes the shares and assets of your farming corporation. Deemed dispositions of your assets can trigger capital gains (the money its worth now minus the price you paid for it). While only 50% of the capital gains from these assets are taxable, this can add up to substantial amounts when dealing with shares from a growing farming operation. For instance, as a sole shareholder of a farming corporation your hard work has meant your shares are now worth more than they were in the beginning. Shares initially worth $1 that are now worth $1000 leaves you with a capital gain of $999 on each share. Owning 100 of these shares leaves you with a capital gain of $99,000, of which $49,950 is taxable. As such, deemed dispositions can potentially deplete the estate you had hoped to leave for your loved ones. How Does an Estate Freeze work? First, incorporate a holding company. Second, transfer the shares you currently own in you farming corp. to the holding company in exchange for redeemable preferred shares in that holding company. The “redeemable” preferred shares can be redeemed by you from the corporation at a set price. In other words, the share value, and consequently your capital gain, “freezes” and you know exactly how much tax your estate will pay on those shares when they are “deemed to be disposed.” This arrangement can be executed on a tax-free basis using what is referred to in tax practice as a “rollover”. Alternatively, you may choose to trigger your capital gain at this time of transfer so that you can utilize your lifetime capital gains exemption. Our current tax system allows you to use this mechanism to offset capital gains from select eligible properties, of which your shares of your farming corp. are one. If you capital gain is below the lifetime capital gain exemption limit, you and your estate would be free from any taxable capital gain. Third, transfer the farm’s growth to your children by issuing new common shares in your holding company to them. Unlike your redeemable preferred shares, the value of these common shares will continue grow with the value of the farming corp. Your estate redeems your preferred shares for a set value and predictable tax burden that you can plan for, and your children effectively take over the farming corporation. Your children can be the only shareholders of the holding company that own the farming corp. and will benefit from any growth the farming corp. experiences from the point of the transfer onwards. There are many different avenues available to achieve this end result through an estate freeze. 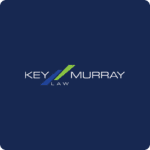 To explore these avenues and find the one best suited for you, please contact one of Key Murray Law’s experienced business law lawyers. Previous So, I just clicked “Agree.” Am I bound? 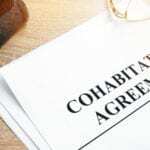 Next What is a cohabitation agreement and should we get one?